These tights are made of brushed Polypropylene. AND we’ve inserted a Hi Hiz Stripe down the side so you’ll stand out no matter what the conditions are on the water! Durable and hydrophobic (afraid of water) with superb compression, Polypro is the fastest drying, longest-lived fabric we have. Plus, the brushing adds insulation to the equation. These tights are UNISEX; great for men and women! 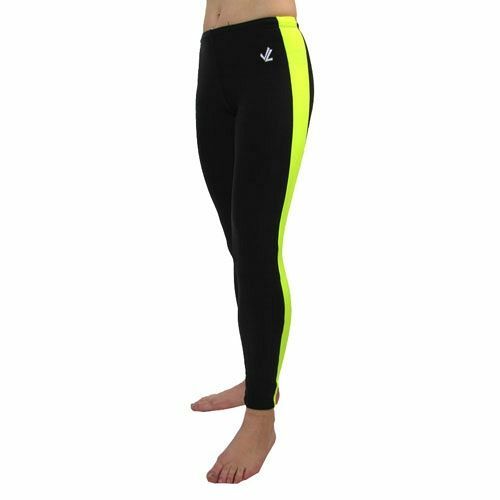 JL Tights are designed for the rowing motion, with a high back and stretch down the length of the leg. A long inseam, sewn-in elastic with drawstring, and reinforced seams make this garment both comfortable and durable.